Van Gogh was a largely self-taught artist who went on to change the face of Post-impressionism forever. A troubled yet highly-skilled painter, van Goghs work was an outlet for his emotion, particularly when battling depression. Upon moving to Paris, van Gogh was hugely inspired by the works of the Impressionists and Post-impressionists and he adopted their bright palette and developed a unique style which continues to be emulated by artists to this day. Working at an often furious pace van Gogh produced more than 2,000 works of art, including around 900 paintings and 1,100 drawings and sketches in his 10-year career. 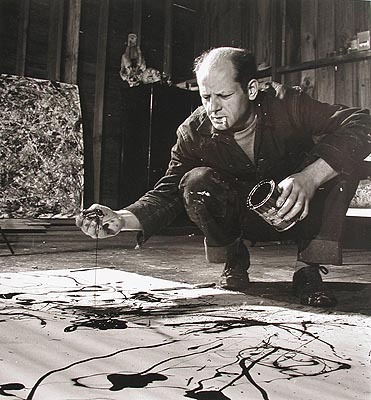 However, he sold only one painting during his lifetime and did not become successful until after his death. 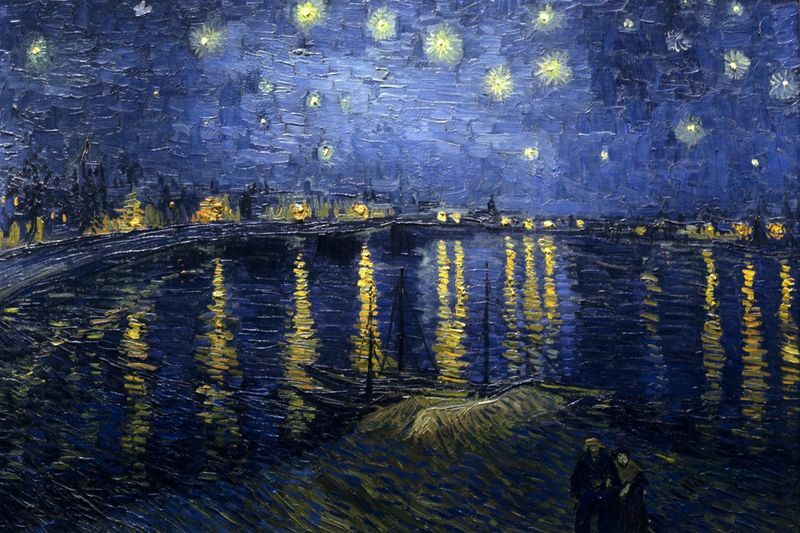 Some of his most famous works include Starry Night, Sunflowers, and The Bedroom at Arles. His expressive and emotive use of color and distinct brushwork became hugely popular and massively influenced Expressionism, Fauvism and early abstraction as well as various other aspects of 20th-century art. Today, van Gogh is generally regarded as the greatest Dutch painter since Rembrandt. Van Gogh was an artist troubled by mental illness who dedicated himself to his art. Upon deciding to become a painter, van Gogh was committed to developing a unique style and his dramatic brush work and vivid expressions went on to shape Expressionism, Fauvism and early abstraction as well as various other aspects of 20th-century art. Vincent van Gogh was born in Holland in 1853. A quiet child he showed no great interest in art but when he was 16 years old, he began working at the Hague gallery. After several transfers that took him to London and Paris, he lost interest in becoming a professional art dealer and found a job as a missionary instead. He worked in a small Belgium Province and began helping a group of miners with whom he empathized greatly. Van Gogh donated many of his clothes and possessions to the miners which was frowned upon by the Dutch Reformed Church. Consequently, van Gogh left the Church and set out to become an artist. 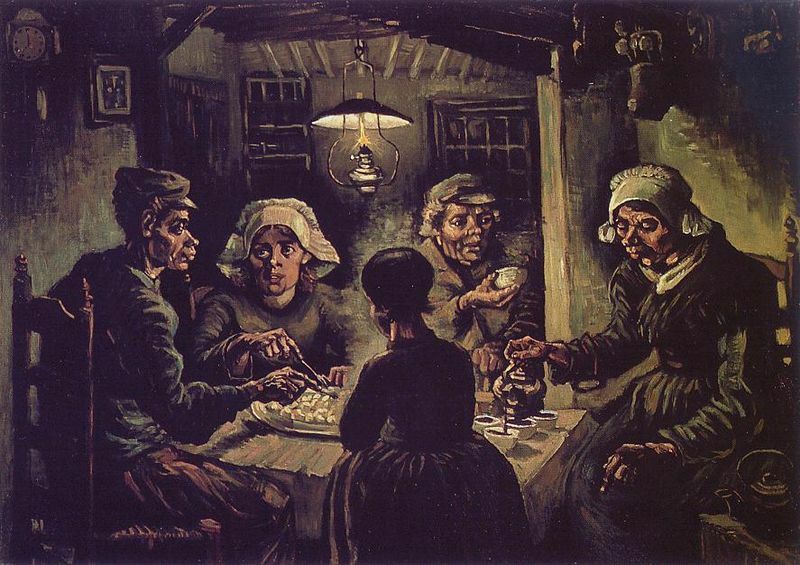 Fulfilling his desire to paint figures, in 1885 van Gogh completed his first major work, The Potato Eaters which proved a success. In 1886 van Gogh relocated to Paris and was greatly influenced by Impressionism and Post-impressionism, and gained exposure to artists such as Gauguin, Pissarro, Monet, and Bernard. As a result, he adopted brighter, more vibrant colors in his art and began experimenting with his technique. Two years later, in 1888, van Gogh moved to Arles where he was later joined by his new friend Gauguin. 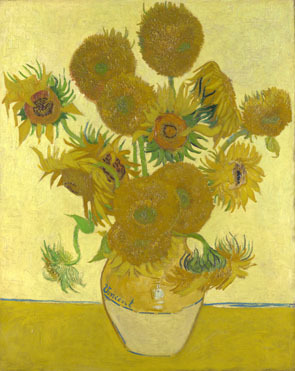 It was at this time that he created Sunflowers, one of his signature pieces. At the end of 1888 van Gogh's mental illness worsened and in one outburst he pursued Gauguin with a knife, threatening him. Later that day, van Gogh cut off part of his own ear then offered it to a prostitute as a gift. He was temporarily hospitalized and Gauguin left the home they shared, ending van Goghs dream of setting up an art school. Van Gogh committed himself to an asylum in Saint-Rémy-de-Provence later that year and there he painted Starry Night, one of historys most influential artworks. He left the asylum in 1890 and in July of that year attempted suicide by shooting himself in the chest. He died two days later from the wound aged 37. Van Goghs closest brother, Theo died just six months later and his widow published van Goghs work, gaining his the recognition he longed for. Van Gogh worked with a great sense of urgency and in the 70 days leading up to his death, he is said to have averaged one painting per day. It´s thought that he often used paint straight from the tube (impasto). Largely self-taught, van Gogh´s technique grew out of the idea that to be a great painter you had to first master drawing. It was only when he was satisfied with his drawing technique that he began adding color. Van Gogh regarded drawing as a basic task enabling him to grow artistically and to study form and movement. As well as drawing, van Gogh produced nearly 150 watercolor paintings during his career. In 1882 van Gogh began experimenting with lithography and went on to create a series of ten graphic works: nine lithographs and one etching. The Potato Eaters was intended for the marketplace and he made a lithograph of the piece so that it reached a broader audience. Many people consider van Gogh's letters to be another form of artwork because they include sketches of pieces he was working on or had just finished, and they show the progression of his masterpieces. 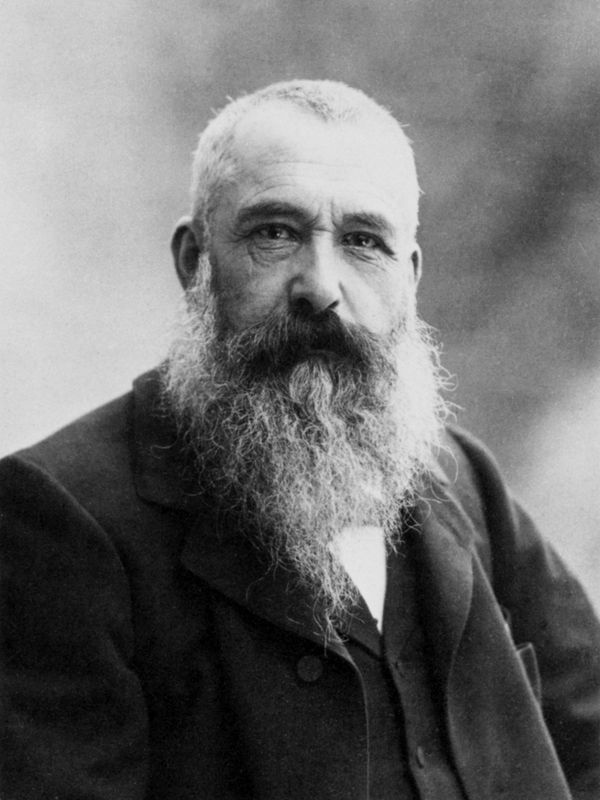 When he moved to Paris in 1886 he was greatly influenced by the work of the Impressionists and Neo-Impressionists. He began using a lighter palette of reds, yellows, oranges, greens, and blues, and experimented with the broken brushstrokes of the Impressionists. Van Gogh was also hugely influenced by Japanese prints. Vincent van Gogh painted over 30 self-portraits between the years 1886 and 1889, reflecting his ongoing pursuit of complementary colors and a bolder form. 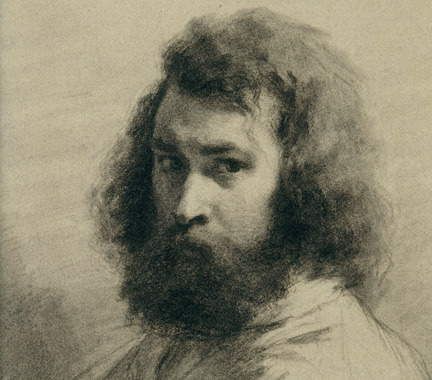 His collection of self-portraits places him among the most dynamic self-portraitists of all time. In 1888 van Gogh moved from Paris to Arles and lived for some time with Gauguin. Gauguin bought a bale of jute and both artists used this for their canvases, forcing them to apply paint thickly and to use heavier brush strokes. Van Gogh started to imitate Gauguin's technique of painting from memory during this time which resulted in his paintings becoming less realistic. Moving to Paris 1886 had a dramatic and lasting effect on van Goghs work. Inspired by Impressionism and Post-impressionism he began using more vivid colors and experimented further with his technique. He also spent time researching the styles of Japanese artwork. In Paris van Gogh was also influenced by painters such as Gauguin, Pissarro, Monet, and Bernard and developed a close friendship with Gauguin who eventually became one of the biggest artistic influences on van Gogh. The pair met in Paris in 1887 and later lived together in Arles where they adopted a similar technique of applying paint more thickly and using heavy brushstrokes. Their themes were also very similar at this time, mainly landscapes and local people. Even when Gauguin left Arles and moved to Paris, his influence on van Gogh was obvious; van Gogh began painting from memory, as Gauguin had done, and this resulted in his works becoming more decorative and less accurate. Another major inspiration for van Gogh was Millet. Because of his work as a missionary, van Gogh identified with the lower classes and like Millet, he considered farmers and laborers to be honorable people, which was evident in his work. Millets depictions of peasants and the countryside impacted greatly on van Goghs early offerings. According to van Gogh: Millet is father Millet... counselor and mentor in everything for young artists." While in the asylum at Saint-Rémy, van Gogh produced 21 copies of Millet's works which shows not only his respect for Millets work but also his desire to develop his own individual technique. 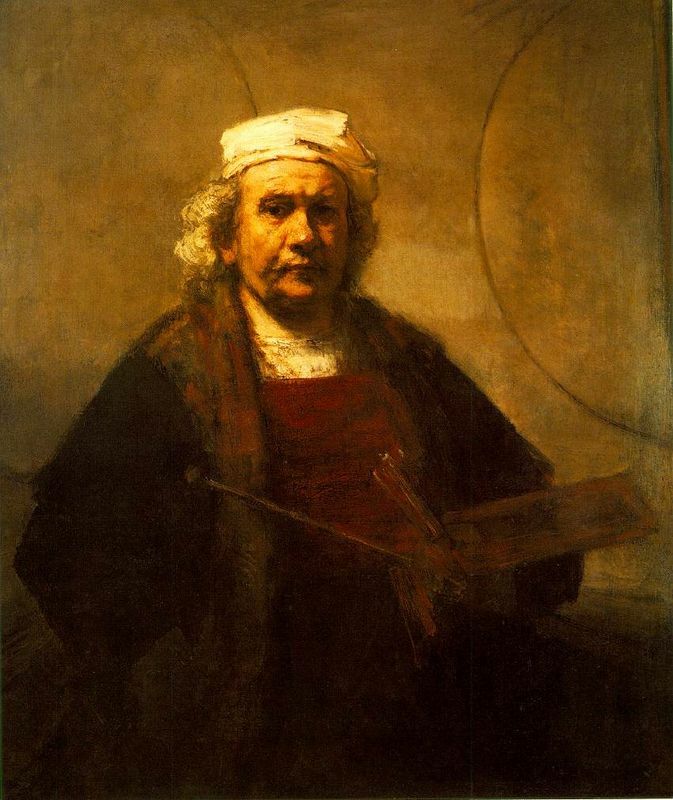 As well as Millet, artists such as Rembrandt, Delacroix, Rousseau and Daumier had a profound impact on van Goghs choice of subject matter, as did the Japanese masters of ukiyo-e.
Van Goghs unique brushwork and vibrant palette inspired many great artists such as Matisse, Gauguin, Derain, Pollock and Bacon. Each artist adopted and in some cases extended elements of van Goghs style, eager to preserve his famous technique. The artist Paul Gauguin became a close friend of van Goghs and the two lived together in Arles. They adopted similar painting techniques and depicted the same subject matters during this time. 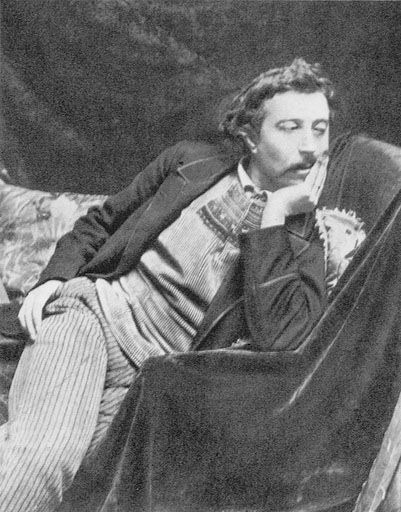 After an incident in December 1888 whereby van Gogh threatened him with a knife, Gauguin left Arles and never saw his friend again, only communicating via letter. Their time together greatly affected the others work and Gauguin began to adopt a brighter palette, using color to express his art. He was fond of using yellow and like van Gogh, used thicker brush strokes in his canvases. Van Gogh provided inspiration for a great many artists, and Henri Matisse and Paul Klee, were among the first to be inspired by his individual technique. Matisse was influenced by van Gogh and had one of his drawings on display in his home. Matisse developed van Goghs use of color and loose application of it. 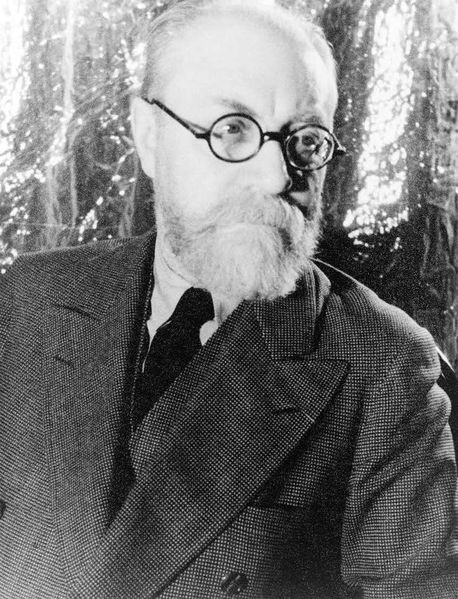 Like van Gogh, Matisse was also inspired by Japanese art. Paul Klee was another artist who, at the turn of the 20th century adopted strong colors into his work, inspired by the work of van Gogh. The Van Gogh retrospective exhibition held in Paris in 1901 made a huge impression on the artist Maurice de Vlaminck, and after the Fauvism movement ended in 1907, of which Vlaminck was a member, he continued to be inspired by van Gogh and unlike many artists at this time, he looked backwards and began to adopt a more controlled palette and he created art that was more subtle in its expressiveness. Derain, on the other hand, idolized van Gogh and attempted to follow in his path which resulted in him becoming what many consider the most dramatic of the Expressionists and among the least constrained by traditional art styles or techniques. Van Gogh became an extremely popular artist in German and private collectors and museum directors were some of the first to purchase his paintings. 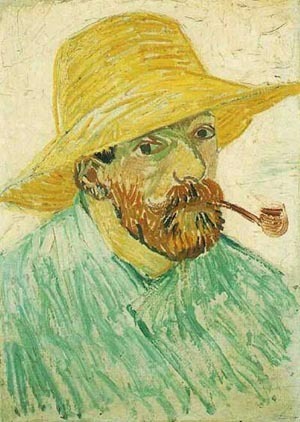 German artists such as Kirchner and Kandinsky were inspired by van Gogh's technique, choice of color and dramatic brushwork. Other artists who have extended elements of van Gogh's style, include de Kooning, Hodgkin, Pollock and Bacon. Generally speaking, van Gogh is regarded as the greatest Dutch painter after Rembrandt and his influence on expressionism, fauvism and early abstraction is unrivalled. Moving to Paris in 1886 had profound effects on van Gogh´s artistic choices. Impressionism and Post-impressionism made a lasting impression on the artist and as a result he started to use brighter colors in his work, moving away from his typically dark compositions. Van Gogh´s experimentation and resulting style changed not only his work during this time, but also the history of art in general. Modern critics agree that van Gogh was an artist who was deeply disturbed by his condition and this is believed to have impacted somewhat on many of his great works. 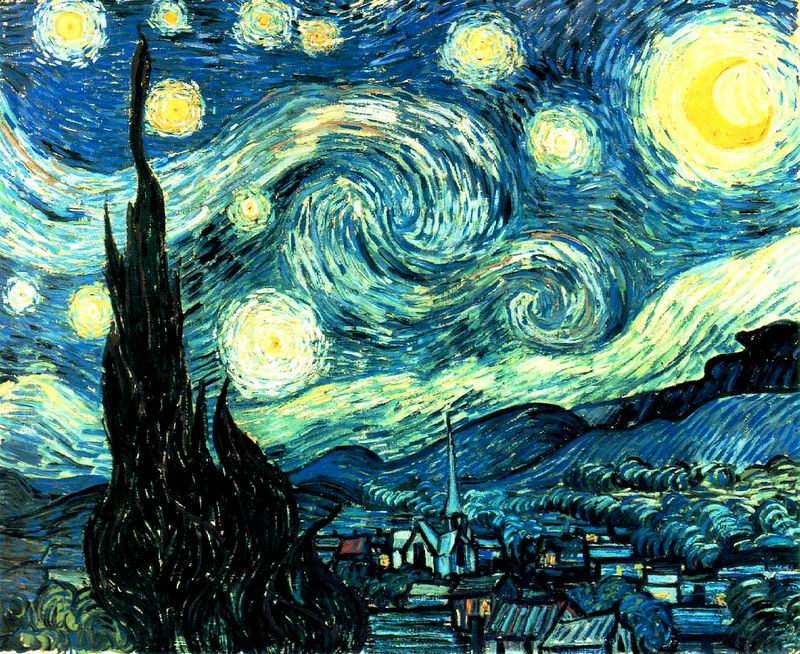 Critic Robert Hughes believes that late works such as Starry Night which was produced while van Gogh was in a mental asylum are the best representations of his talent, fully in control and "longing for concision and grace." Following van Gogh´s death in 1890, memorial exhibitions were held in Brussels, Paris, The Hague and Antwerp. His recent works, on view at the Indépendants in Paris, were deemed by many artists as "the most striking" in the exhibition. In January 1890, the critic Albert Aurier published the first full-length article on the artist, comparing his work to the nascent Symbolist movement and remarking on the innovation and intensity of his artistic vision. Often referred to as the 'Mad Artist,' van Gogh is today regarded as one of the most popular post-impressionist painters. Van Gogh´s definite brushwork and contoured forms have massively influenced Expressionism, Fauvism and early abstraction as well as various other aspects of 20th-century art. Van Gogh´s personal life and most specifically his mental illness has tended to overshadow modern perceptions of his art. However, whatever your belief, van Gogh is regarded as one of history's greatest painters and a vital contributor to the foundations of modern art. Regarded as the greatest Dutch artist since Rembrandt, van Gogh is one of the world´s greatest Post-Impressionists. Many books have also been written about van Gogh paintings, Post-Impressionism and the artist himself. Below is a selection of recommended reading.